Having trouble coming up with new and creative ways of raising funds for your basketball program? Has your community had enough of the same old candy bars, pizzas and discount coupons? What if we told you that raising $4,000, $5,000, even $6,000 or more is well within your reach each time you use our system...and you won't have to sell products to anyone! You owe it to yourself and your program to continue reading. ...all while being directly involved in the fundraising effort. The great thing about this system is that we've done all the work for you. All you have to do is meet with your players, distribute the materials we provide, give a short explanation of the fundraising materials, promote your team website and encourage them to find sponsors. And oh yeah, get them to start practicing their free throws! It's that easy! Each Shoot-a-Thon Fundraiser System and Team Website includes a special "Director's Only" password protected area filled with all the essential event forms and strategies to help you produce tremendous results from your fundraising efforts. Every area is covered, from your first meeting with your players to the actual Shoot-A-Thon event. Also included are proven, successful strategies on promoting your Shoot-a-Thon Fundraiser and Team Website to family, friends and media. We have included personalized advertisements for newspaper, radio and e-mail campaigns as well as introductory and follow-up thank you letters at the conclusion of your event. Our automated e-mail delivery system means you can send countless prewritten and personalized promotional e-mails with just a few clicks of your mouse. 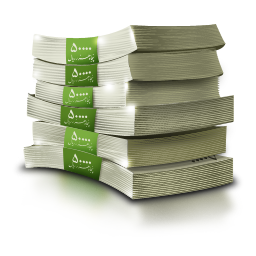 You will be amazed at how easy this program is to use and how quickly and efficiently it will allow you to bring everything together for one outstanding fundraising event. Introducing the Shoot-a-Thon Sitebuilder Wizard! This is what makes this system so unique and will put your fundraising potential into overdrive! Your players have family and friends all over the world. Telling them about your fundraiser over the phone or through the mail can cost time and money and allow for confusion and misinformation. Directing your potential contributors to your website, both near and far, will make collecting Shoot-a-Thon pledges and donations fast and efficient. Our completely automated Sitebuilder Wizard makes creating your team fundraising website a breeze...and in just a few minutes! Even a computer rookie can pull this off! Try our demo and see what we mean! Or take a look at the sample site we created in only a few minutes with the Sitebuilder Wizard! You probably never gave the Internet much thought when thinking about a fundraiser for your basketball program. 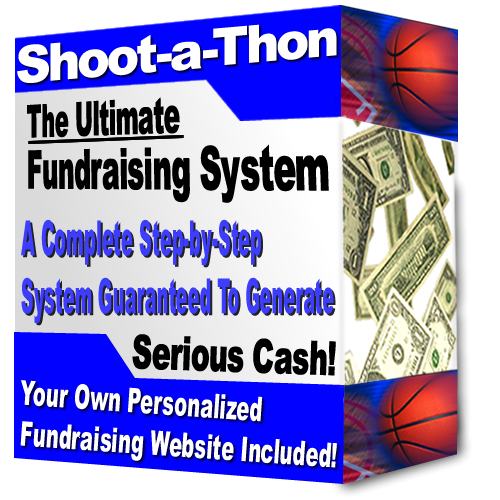 The Ultimate Shoot-a-Thon Fundraiser System and included Team Website will skyrocket your fundraising efforts and provide you with the professional image and efficiency your program needs and deserves. Your knowledge of computers can be limited. 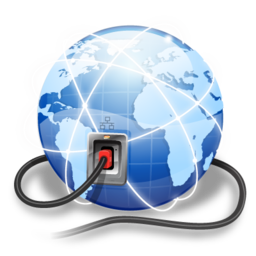 All you need is an e-mail account and the ability to check messages so that you can collect serious donations from people all over the world. Our automated website does the rest. Your kids will think your website is cool and your competition will be envious of your professional approach to fundraising and your big-time $$$ results! Here's the best thing... You can run this fundraiser with any program at any level as many times as you like, just use the Sitebuilder Wizard to make any information changes to your team website that you desire. Change the team name, dates, times, location, images, colors and even domain name and run this event year after year! It's time to get excited about the potential funds you can raise by using this unique program. Believe me, every Athletic Director loves a coach who can raise funds to supplement the budget! Here is just a quick example of the huge potential of this program (assuming below each player shoots 100 FT's). 15 players - each player finds an average of 10 people to sponsor them. Let's assume each sponsor donates an average of .50 cents per shot made out of 100 (our website building system allows you to setup for 25, 50, 75 or 100). Let's again assume each player makes an average of 60% of his or her free throws (60 / 100). That's enough to send your entire team to summer camp! And remember this...we are assuming several averages above. Many of your kids will get more than 10 sponsors! Many of your kids will make more than 60% of their free throws! Many people will donate more than 50 cents per shot made! The potential income from this program is simply incredible! This system can be used for every level of your program a few times each year or all together for one giant "Shoot-a-Thon!" You need to determine what your community can handle in terms of charity events. We encourage you to "test drive" our incredible Sitebuilder Wizard program and see just how easy it is to create your fundraising website. This "demo" will show you exactly how your website is created and how it will look, feel and operate after completing the wizard. Look at a sample site created by our Sitebuilder Wizard! And don't forget, with your paid Lifetime Membership you will also receive unlimited access to our password protected "director's only" area filled with all the essential Shoot-a-Thon event forms, fundraising tips, automated e-mail notification system, and a proven promotional campaign that will skyrocket your fundraising efforts! In addition, your membership gives you 24-hour access to our Sitebuilder Wizard, which means you can create and make changes to your website with just a few mouse clicks...all instantly updated on your fundraising site! This makes it very convenient for last minute changes or when you decide you would like to run more than one fundraiser during the year.